The aim of the visit was to express the gratitude and award a commemorative plaque to Mr. Markopoulos for his valuable support to “Acropolis 2009”, which, for the first time since 1968, was organized in a city other than Athens. 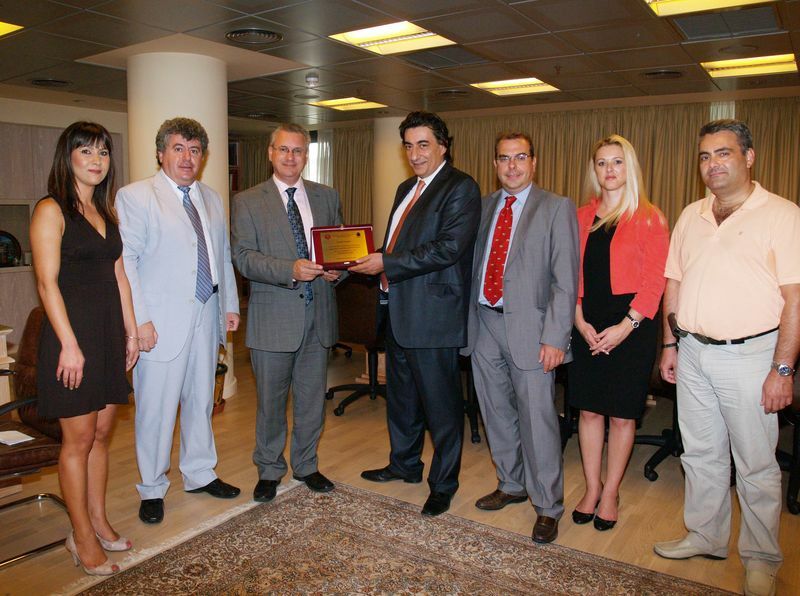 The organization of “Acropolis 2009” in Chalkida –mainly owing to the efforts of the Chess Academy of Chalkida “Palamedes of Evia”and the support of the Gree Ministry of Tourist Development- proved to be a significant event that attracted the interest of many foreign athletes (177 athletes in total from 27 countries). The tournament was a complete success and the aim of the organization committee is to organize and offer an even more successful event in the near future.